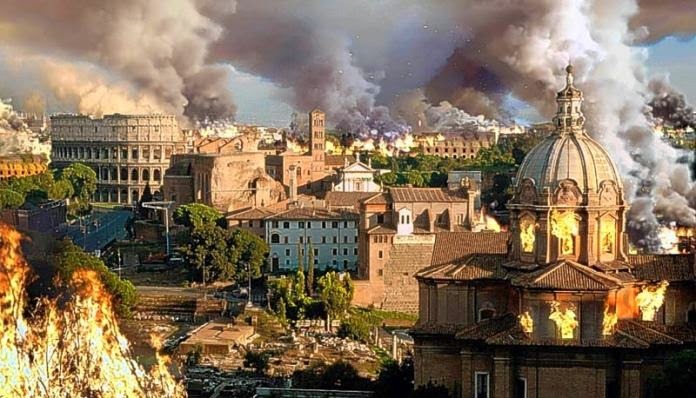 All empires collapse eventually when they are defeated by a more vigorous empire … or when their financing runs out. Empires are not the result of conscious thought; they happen when a group is large enough and powerful enough to impose itself on others. But empires are expensive. They are typically financed by theft and forced tribute. The imperial power conquers… steals… and then requires that its subjects pay “taxes” so that it can protect them. The US never got the hang of it. It conquers. But it loses money on each conquest. How does it sustain itself? With debt. It doesn’t take tribute from the rest of the world; it borrows from it. As far as we know, no other empire has ever tried to finance itself by borrowing. But it is a special kind of debt. 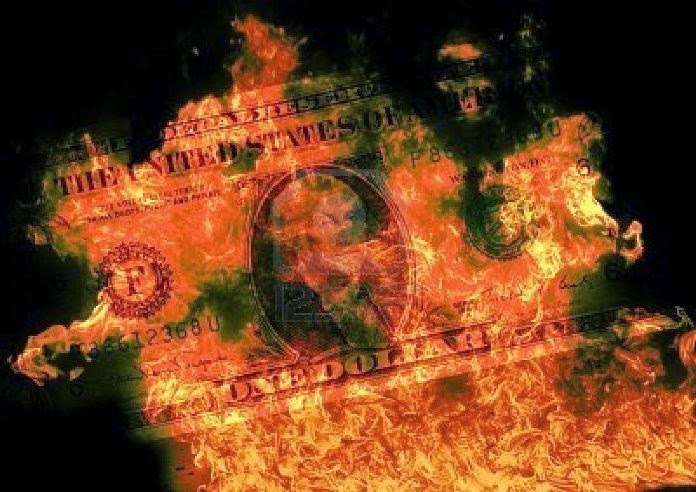 The US borrows in its own currency – which it can print as it chooses. If the burden of repayment is too high, in theory, the Fed can just print more dollars to satisfy its obligations. And we now see the beginning of the end. America is increasingly viewed as in relative decline, China is seen as the preeminent rising power. Even for Gulf Arab states long reliant on Washington as their ultimate security guarantor, this makes closer ties to Beijing an imperative strategic hedge. For Russia, deteriorating relations with the United States impel deeper cooperation with China, against what both Moscow and Beijing consider a declining, yet still dangerously flailing and over-reactive, America. Beijing has struck numerous agreements with Brazil and India that bypass the dollar. China and Russia have also set up ruble-yuan swaps pushing America’s currency out of the picture. They have formed alliances with South Africa to from the BRICS bank. The economic and gold output of these five nations surpasses that of the US and the EC combined. But if Beijing and Moscow – the world’s largest energy importer and producer respectively – drop dollar energy pricing, America’s reserve currency status could unravel. We see more and more evidence of this. That would undermine the US Treasury market and seriously complicate Washington’s ability to finance its vast and still fast-growing nearly $18 Trillion dollar-denominated debt. What ultimately ended the Roman empire was inflation and price controls! It has been tried in the US before. It didn’t work. Will this be the solution when hyperinflation threatens to ruin our economy?